heres ur avatar skales! 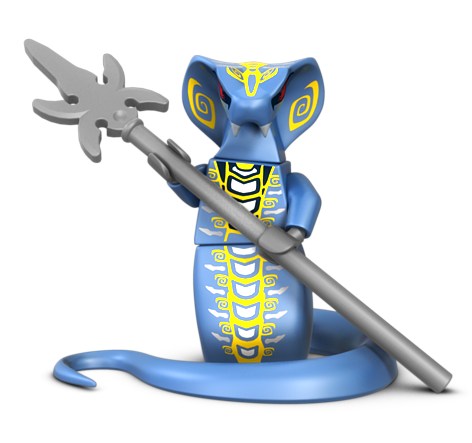 http://images.wikia.com/ninjago/images/4/43/Skales2.png YAY SNAKES! ARGH WHEN IS IT GOING TO BE LATE ENOUGH FOR ME TO WATCH IT?????????????????? I LOVE MY AVATAR but…. oh so… copy that ok? then go to http://en.gravatar.com/ and sign up! are u signed up yet? did you get the avatar in? did you get the avatar in?? Ninjas you have interfered with our waffles for the last time!!! admin are you on?????????????????????? 😕 I NEED SOMEONE TO COMFORT IN MY TIME OF LOSS… IM STILL WAITING TO WATCH EPISODE 8!!!!!!!!!!!!!!!!!!!!!!!!!! Jay Unlocks his True Potential! i know how to get the real Pythor minifigure. My parents are the bosses of the Lego company and can do anything for me! if you tell me how to watch episode 8 full in english, ill tell my parents to make four rare minifigures for you! they are: Pythor,Acidicus,Skalidor,And the Green Ninja! Now i hate thebrickbloger.com.Now I HATE it!!!!!!!! haha yeah i wish i could help you with some of those contributions too (some people come up with great ideas on here!) but unfortunately im not too techie either haha but anyways you do fine enough job with this website and you sure have a lot of stuff to dedicate yourself to like this and all your other ninjago stuff keep up the good work! 😀 (Not sure if you do all the other lego brands either). *crys for ten minutes* im sorry for those harsh words admin. And yes i did lie about my parents im so sorry i just wanted to see episode 8 in good quality really bad. Can you take those things i said out of your website and forgive me plz? I have SIX younger brothers ansd sisters!!! wow!! So there’s nine of you??? I have only two younger brothers. I can’t imajine six or NINE!!!!!!! If your parents really were the bosses of the lego company, then your father would be Kjeld Kirk Kristianstien. whos NRG Cole? are you talking about the real minifigure NRG Cole or a guy whos username is NRG Cole? Jay is ALSO my favorite ninja and my name is ALSO Alex. a guy named NRG Cole, of course. Can someone please put the episode on youtube so I can watch it! TV is broke so couldn’t watch it!!! I want tp be a ninja really really bad!!!!!!! Whos with me? Who here wants to be a ninja REALLY REALLY bad? Gravatar wont let me sine up. Can you episode 8 for my son, pleeeeeeeeeeeeeeeease? We don’t have cable and my son is going crazy! Now Gravatar wont let me sine in now pls help. Hi people!! Anyone on Pythor, Skales, Admin anyone? Kai, gid617? my best times to be on are 7 my time (5 there) and now – 11 more or less. Some times at two. Thats AM (not 2 AM, but 7 AM and 11 AM. Have you tried BirckLink or eBay? Admin, have you seen lloyd dressed like the green ninja yet?? Skales, what problem are you running into? Maybe if you describe it in detail we can figure it out. lloyd gets very angry with his father in episode 11 – what is he saying?? Does anybody here know korean?? Maybe he is angry becaues his father made him stay in the boat? I could help too, if you wish. Cuz I wanna see episode 8 too! can’t be. You just cant give away the prophecy. It’s not like Zane can just un robot himself and give it to someone else. He dresses up like he green ninja and then realizes that lloyd is the real green ninja. How does Cole reach hiw full potential? I heard Kai kissed Jay or Jay kissed Kai and then Kai reached his full potential. I want to see that!! Must be pretty funny! Nya kissed Jay!!!!!! HA HA HA, you made mae laugh for a long time!!!!!!!!!!! And jay got his full potential. cole got his full potential by rescuing his father in episode 9. Kai got his full potential by rescuing Lloyd. It was on episode 8 comments but i don’t sugest looking for it. There is over 1,300 coments since it was posted. I have 62!!!! Ha Ha!!!!! I have 20 more in the mail, though. Seventy nine cards!!! That’s not including repeats. does anybody have any ideas as to what SP the Nrg character cards will have?? Hey whos your favourite ninja mine’s Kai. My favourite snake is Pythor. my favrotie is kai!!! 🙂 and my favorite snakes is chokun ! I just don’t like the tails. I also like bytar. But again, I’m not crazy about snakes. I try to get all the ninjas, and as many snakes as I end up with. Why Lloyd Garmadon is the green ninja? the whole movie is so epic! how is it so epic?! who thinks this is the best movie in the world?! has any one noticed that um idk……………………ZANES A SYBORG! 🙁 🙁 🙁 🙁 NOOOO!!!!!!!!!!! School is starting soon !!!!!!!!!!!!!!!!!!!!!!!!!!!!!!!!!!!!!!!!!!!!!!!!! Previous post: LEGO Star Wars summer sets more pictures! Next post: New items from BrickWarriors!